After reading a book that you loved what do you wish for? Just a little bit more, a new view on some of the characters, a look at events to fill in the blanks, or even a little sneak peek at the next book. Ember has all of that. 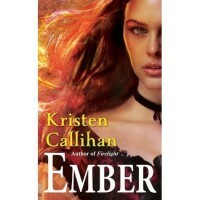 Ember is a well-written short that is a great companion to Firelight. It is listed as 0.5 for the Darkest London series, but truly works best as 1.5. You get to see detail on some of the scenes the characters “remember” in book one. You also end up gaining an appreciation for some of the secondary characters and also a glimpse into the depth of Archers feelings. What’s not to love about that! If you are a fan of this new series this is a must read. If you haven’t started this series yet start with book one and you will appreciate Ember even more.